Dr. Scott Dubrul has since been practicing Chiropractic for 22 years in San Luis Obispo County. 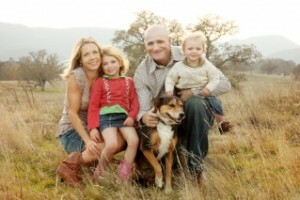 Currently his chiropractic practice is located in San Luis Obispo near Cal Poly University. In 2005, Dr. Dubrul became Wellness Certified through the International Chiropractic Association. With this wellness training he is able to offer a true Holistic approach to attaining wellness. Dr. Dubrul was raised in Santa Margarita, CA. He attended California Polytechnic University studying Biological Sciences with a concentration in Pre- Medical Studies. He attended and received his Doctorate in Chiropractic at Palmer Chiropractic College in Sunnyvale, CA in 1993, where he graduated Salutatorian, and with honors for clinical excellence. Cited for his community involvement, Dr. Dubrul heads up Chirofeed International for San Luis Obispo County. His efforts have helped to feed, clothe, give gifts and provide chiropractic care to hundreds of homeless people in the county. His down to earth attitude in helping others makes him an asset to his community. His technical post graduate work includes: Advanced Muscle Palpation, Advanced Biostructural Correction and Bioenergetic Synchronous Technique. Dr. Dubrul enjoys surfing, golfing and competes in ultra-marathons. He is married to Julie Dubrul and is father to Quinn and Jack Dubrul. Dr. Fessel received his Bachelor of Science Degree in Kinesiology at California Polytechnic University in 2013. He went on to pursue his Chiropractic passion at Life Chiropractic College West where he graduated in 2017 with honors. Dr. Fessel’s journey began when he was first introduced to Chiropractic by his father after suffering a shoulder injury while playing baseball in High School. This led him to pursue a degree in Kinesiology with his undergraduate schooling. While attending Cal Poly, Dr. Fessel took it upon himself to learn more about the Chiropractic profession and began a 2-year internship at Powersource Chiropractic in San Luis Obispo. This opportunity allowed him to see the amazing healing power each individual has within their own body. Dr. Fessel believes in treating cause of various ailments and not symptoms. While attending Chiropractic College Dr. Fessel participated in numerous coaching programs to help refine his Chiropractic technique in-order to help those with a number of spinal conditions. While in school he was able to travel across the world from El Salvador to India, helping others in less fortunate communities. After graduation Dr. Fessel returned to the Central Coast to begin his practice where he first embarked on his Chiropractic journey. His focus is on removing the interference from the upper neck to the Brainstem with a specific form of Chiropractic adjustment called Knee Chest Upper Cervical Chiropractic. Digital x-ray Upper Cervical Doctors take specialized and specific x-rays in order to determine a patient's listing. This listing is unique for each patient and determines the location of the adjustment the patient needs in order to clear out their subluxation, which will enable the patient to get well. This results in an absolute level of confidence in the accuracy of the x-rays, which leads to proper analysis and, therefore, a proper adjustment for each individual patient. Thermography is a medical technology that is FDA approved as a neuro-diagnostic procedure. This might sound scary and intense, but the truth is that this is a very simple technology. Thermography simply reads the heat from underneath the skin on the back of the neck, which is controlled by the brainstem, in order to allow us to determine if the adjustment is necessary. If the adjustment is found to be necessary, then you will receive a post-thermographic evaluation to determine if the proper adjustment was made by the Doctor. Titronic Thermographic Technology does not require the use of any radiation and is our most objective measure used by the Upper Cervical Doctor. This procedure is used on every visit to objectively monitor the course of your care. After every adjustment, you will relax in-order for your adjustment to hold properly. The last thing that we want you to do is to leave immediately after the adjustment and go right back to the natural stress of life, which could potentially put you right back out of alignment.